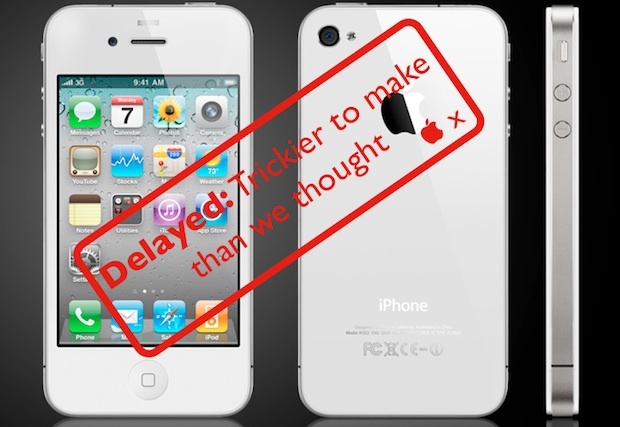 The white iPhone 4, which was expected to go on sale at the end of this month, has become a pink elephant: Apple now says it won’t arrive until “later this year.” The manufacturing process turns out to be trickier than even Steve Jobs imagined. 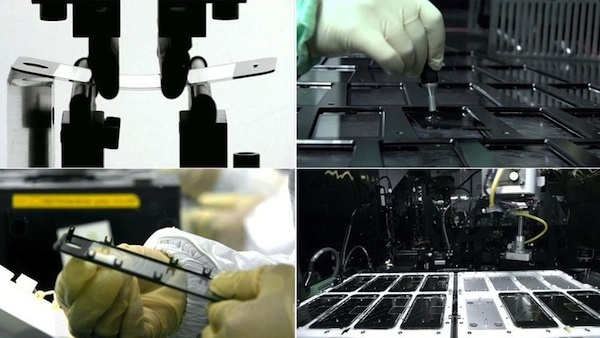 CUPERTINO, Calif., July 23 — White models of Apple’s new iPhone® 4 have continued to be more challenging to manufacture than we originally expected, and as a result they will not be available until later this year. The availability of the more popular iPhone 4 black models is not affected. Back at the end of last Friday’s press conference about the iPhone 4’s antenna, Steve Jobs himself admitted the white version of the new iPhone was proving a bit trickier to make, and it would only be arriving in “limited” numbers at the end of July. But even that hope proved false, as this new data definitely precludes a late-July launch. What the heck is holding the white phone back though–surely it’s just a simple job of changing the paint used to color the thing? The iPhone 4’s manufacturing process is way more complex and innovative than you realize, and the white version is messing with the fine parameters. It turns out that Apple’s patented the assembly mechanism for this phone, as well as numerous physical and software components inside the beastie. Intent on producing a seamless design for this new edition, with the novel rear glass panel, Apple uses ultra-precise positioning techniques and a liquid-metal “glue” for bonding the glass to the phone’s metal chassis. Yup–liquid metal that’s injected around the glass screen and hardens to bond it to the frame. Is that exotic enough for you? some weeks back, but we all skipped the relevance of the data. The paint that makes the black iPhone black (and which adheres to the inwards-facing side of the aluminosilicate glass screen) is different to the white paint for white iPhones, and it would seem that the color and consistency of the white display just isn’t up to Apple’s strict quality assurance issues–or so we guess. The paint itself may also be interfering with the reliability of the novel frame bonding method, since this has to be ultra-precise so that no unsightly or structurally weakening bubbles get in the mix. Should Apple simply have avoided making a white version? Of course not. When you attempt a device design that completely changes the game, you have to take risks–this one just didn’t quite end in success as swiftly as Apple had hoped. The same thinking is behind the whole “antennagate” fiasco, of course, and skeptics will be wondering if Apple isn’t using this screen design delay as a cover for quietly re-engineering the iPhone to fix the supposed antenna problem.